This tutorial provides you the step by step procedure for installing and configuring kubernetes multinode cluster with Docker on Linux (RHEL7 / CentOS7) using Kubeadm and Kubectl. But there is also a another way of setting up Kubernetes cluster with Minikube. This post will not cover the minikube installation for now. Because, Minikube is a tool that makes it easy to run Kubernetes locally. 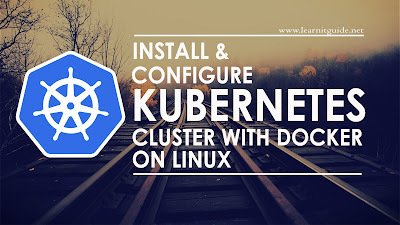 Minikube runs a single-node Kubernetes cluster inside a VM on your laptop for beginners who wants to practice Kubernetes, that will not really help on production environment. 1. Make an entry of each host in /etc/hosts file for name resolution on all kubernetes nodes as below or configure it on DNS if you have DNS server. 2. Make sure kubernetes master and worker nodes are reachable between each other. 3. Kubernetes doesn't support "Swap". Disable Swap on all nodes using below command and also to make it permanent comment out the swap entry in /etc/fstab file. 4. Internet must be enabled on all nodes, because required packages for kubernetes cluster will be downloaded from official repository. Create a repo file for kubernetes and append the lines given below. Install "docker" and "kubeadm" packages using yum command. If you get an error as "No such file or directory", then load the module "br_netfilter" and try the command again. Use "kubeadm" command to initialize the kubernetes cluster along with "apiserver-advertise-address" and "--pod-network-cidr" options. It is used to specify the IP address for kubernetes cluster communication and range of networks for the pods. Kubernetes cluster initialization is completed, Copy the join token highlighted in yellow color from the "kubeadm init" command output and store it somewhere, it is required while joining the worker nodes. Once kubernetes cluster is initialized, copy "/etc/kubernetes/admin.conf" and change ownership. You could see this same instructions in the output of "kubeadm init" command. We have lot of network add-on available to enable the network communication with different functionality, Here I have used flannel network provider. Flannel is an overlay network provider that can be used with Kubernetes. You can refer more add-on from here. Use "kubectl get nodes" command to ensure the kubernetes master node status is ready. Wait for few minutes until the status of the kubernetes master turn ready state. Now, Login into all worker nodes and use the join token what you have copied earlier to join all the worker nodes with kubernetes master node as below. [discovery] Trying to connect to API Server "192.168.2.1:6443"
[discovery] Created cluster-info discovery client, requesting info from "https://192.168.2.1:6443"
[discovery] Cluster info signature and contents are valid and TLS certificate validates against pinned roots, will use API Server "192.168.2.1:6443"
[discovery] Successfully established connection with API Server "192.168.2.1:6443"
Once worker nodes are joined with kubernetes master, then verify the list of nodes within the kubernetes cluster. Wait for few minutes until the status of the kubernetes nodes turn ready state. Thats it, We have successfully configured the kubernetes cluster. 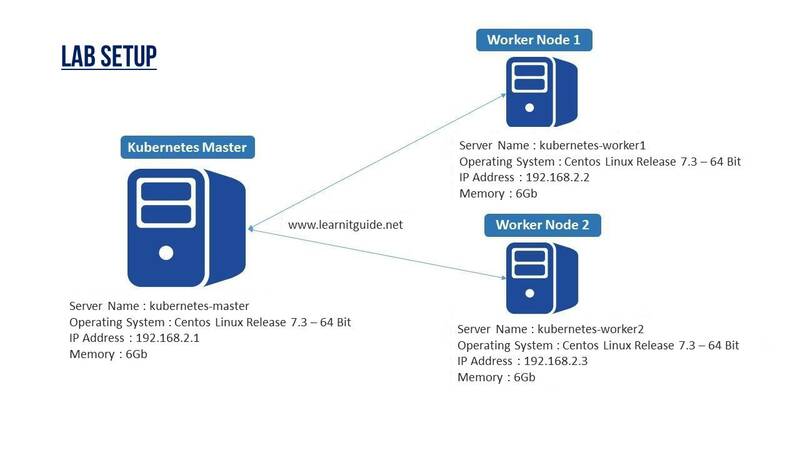 Our Kubernetes master and worker nodes are ready to deploy the application. Going forward we will play more with kubernetes tool. Keep practicing and have fun. Leave your comments if any.